I don't think I would be even driving now if it wasn't for James, he made me feel comfortable from day one. He's extremely patient due to taking me ages to get the hang of it in the beginning. I have found it not only achieving but it has been a fun experience and its only taken me four months with the excellent teaching :) The LDC workbook & DVD really helped me, and thank you for all of your help and making me believe I can achieve it. MSPSG!! Ill never forget it. 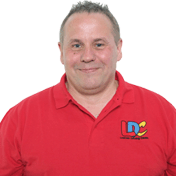 I'm a driving instructor in Balderton, Newark, Long Benington, Collingham, Grantham, Farndon, Lincoln and surrounding areas.